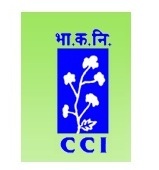 Online Application Details for Cotton Corporation of India CCI Recruitment of Field Assistant/Clerk (Account)/Clerk (General) is given below. Application form and duly attested documents are to be sent to General Manager, The Cotton Corporation of India Ltd., Branch Office Akola, Parasker Towers, 1st Floor Vidya Nagar, Akola-444 001. In envelope super scribed with 'Application for the Post of Post Name'.